Adele and Carl took the train out to visit for a week in September, 2002. I am so sad to say that Carl died February 4th, 2003. He had pancreatic cancer and diminished very precipitously. 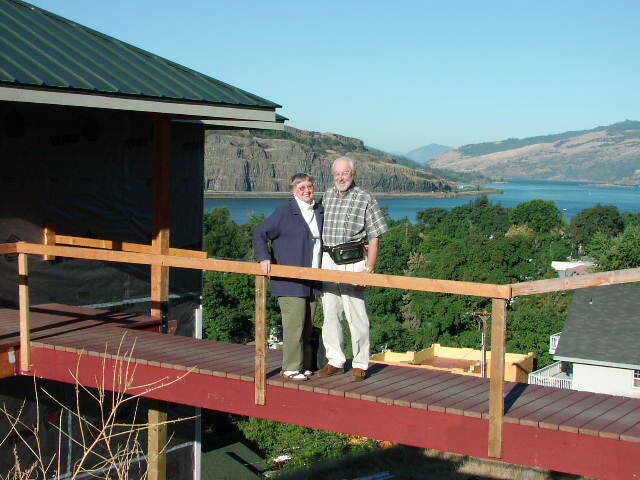 He enormously enjoyed working on the gorge house and seeing the land scouted by Lewis and Clark. He was full of strength and curiosity just months before his death. We all will miss him terribly. I look forward to Adele's visit with Carl's daughter, Marty, this summer. Mom insisted I finish the bridge before she got there. It's mostly done. 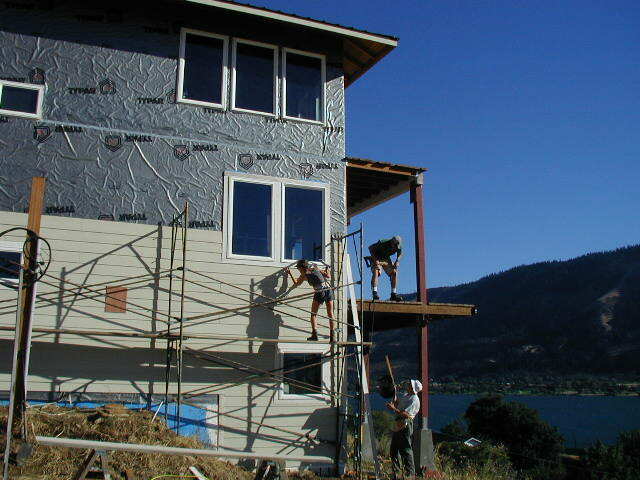 I didn't get a railing on it until her second day. She was quite a trouper crosing it without one. 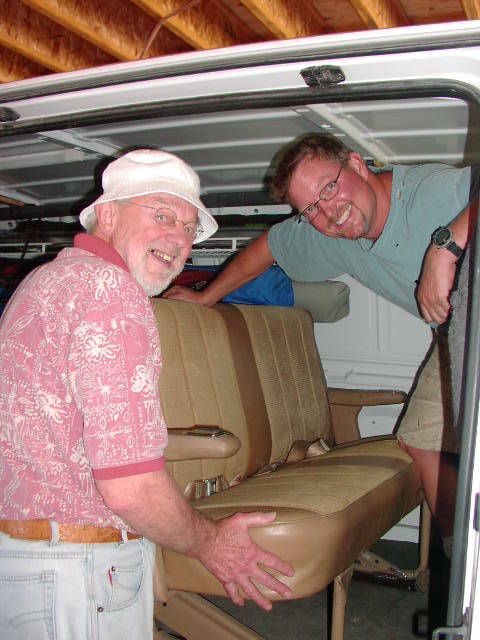 Then Carl helped me weld up and install the old seat out of the "Van'o'love" (mom's old yellow van). I told Taylor there must be some good reason I was storing that seat for 9 years. We rode around in high style. In fact, the van was the only place to escape the 95 degree heat that was killing Adele. We toured the Bonneville Dam, the fish hatchery, and watched local Indians, perched above Klickitat River's thundering waterfalls, hand-netting salmon the old fashoned way. We bought a fresh 20 lbs. Coho and ate salmon for 5 different meals. Taylor said Carl and Adele were really troupers for staying in the less than private accomodations with the walk through bathroom. Mom contributed by cooking mega-meals that put 5 lbs on me in a week. And Carl helped me paint and install trim and siding.